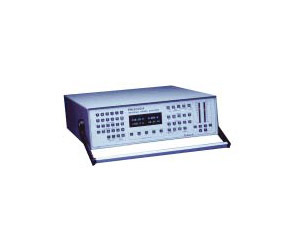 Intuitive front panel or Windows software operation High 0.05% basic accuracy Wide bandwidth measurements , DC and 0.1Hz to 1 MHz Measures W, V, A, VA, VAR, power factor, Cos, Vpk, Apk, crest factors, frequency and inrush current. Harmonics of V, A, (incl. Phase) and W to the 99th. THD Integrator for W-hr, VA-hr, A-hr, VA-hr, Average and target PF Crest factors up to 20 Accurate on distorted waveforms and at low power factors VPAS PC software for setup, data storage and handling IEC555/1000-3 Windows software for full or pre-compliance testing All interfaces fitted as standard All instruments supplied with test leads, user manual and certificate of calibration and performance traceable to international standards Range of accessories includes current clamps and transformers, PS1000 switch for inrush measurements and ballast CT for electronic ballast testing.